Administration of meetings – committee meetings, annual general meeting, other general meetings. Communication and mediation between residents, neighbours and the committee. First point of contact for any complaints or disputes to be resolved. Financial health, legislation, insurance and taxation matters – keeping their finger on the pulse. Looking to the future – resource of information and records to enable the committee to make good decisions. 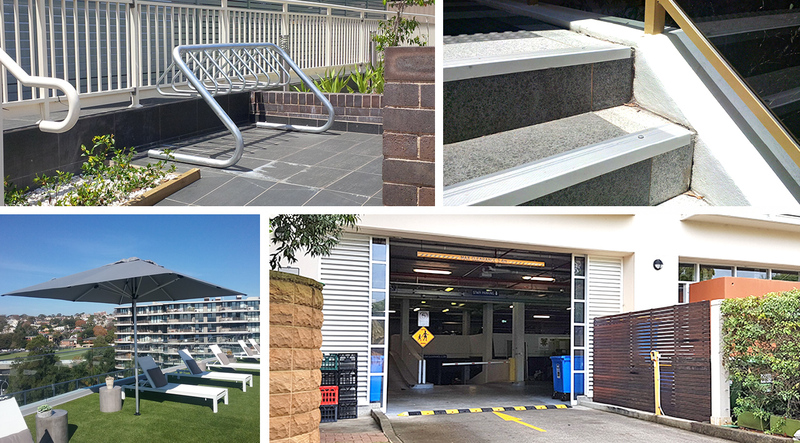 Area Safe has been supporting strata managers Australia-wide since 2003 with everything they need for safety, compliance and common space furniture. Strata Managers look for suppliers who: 1. Always have stock on hand – they need items urgently! 2. Have expert customer support staff that help with practical advice on all products, 3. Have high quality products – nothing worse for a maintenance contractor to install a product that fails within a short period of time.